At Kelly B’s household, one of the first things he does after a good Kansas City winter storm is shovel a path from the kitchen to the grill. He cooks out 2-3 nights a week all winter long. There is nothing that can break a true grill master’s desire to grill. Not even snow, sleet, or ice. Are you up for the challenge? 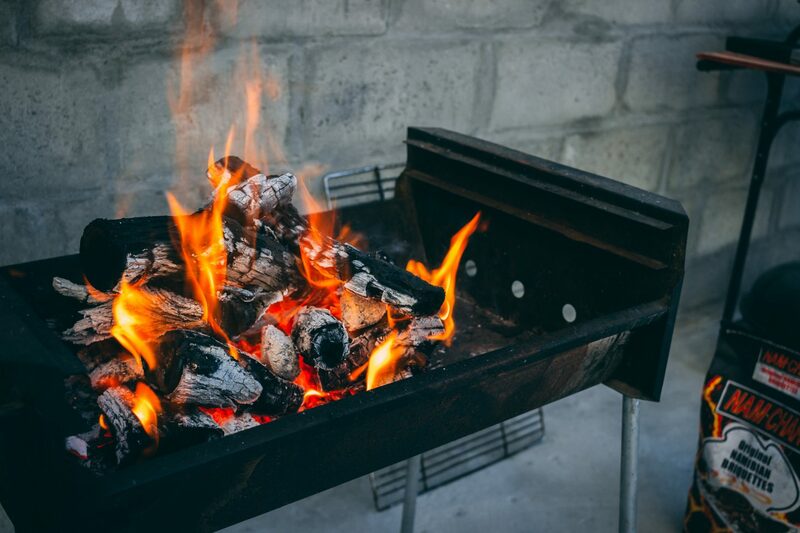 Read on for some tips and tricks on how to grill during the winter! Prepare Yourself. Then Prepare Some More. The trick is to avoid the cold as much as you can unless you like the cold, then you’re just strange. You want to have everything ready before you go outside! Take time to prepare your meat, or whatever you’re grilling that day, to ensure that it can go directly onto the grill when you go outside. As always, make sure the meat(s) are at room temperature before placing on the grill. Fuel is just as important as your meal! Having extra propane tanks or charcoal is always handy and saves a rushed trip to the store later on. When cooking in cold temperatures, you will use more fuel than on a hot July evening. Since most cookers are metal, keeping the cooking chamber at temp is important. This is also true for those who cook on ceramic cookers. Pro-Tip: Keep your grill tools inside or hang them on the hooks your cooker may provide. You don’t want to fish for them in the snow or pry them from ice when you need them. Remember when your mom made you put on your coat and scarf before you went outside? She was right. You’ll regret it if you don’t. Bottom line. Snow gloves are not barbecue gloves. Don’t melt your hands off, please. Pro-Tip: Tuck your scarf into your coat. We don’t advise barbecuing yourself! Your food won’t cook if you keep looking at it, especially if it’s cold outside! Instead, keep a thermometer and a timer on hand so you can wait inside while your food cooks. Snow and ice can damage your smoker or grill. You can buy a cheap cover in stores or online that can protect your grill from the elements. You can also check the website of the manufacturer of your cooker, as they usually have covers made specifically for your grill. Imagine having to chip ice and brush snow off of your grill, no fun! We shouldn’t have to say this but…keep the grill outside. A lot of folks will try and cheat the system by grilling in the garage with the door open. No! Keep the firefighters away from your house, and keep any open flame away from any kind of overhang nearby. Don’t be dumb, prepare beforehand, and have fun. Have you braved the elements to grill before? Share your story with us in the comments!